Niranjan joined LP in 2007 and has since been seconded full time to Defra’s Waste Infrastructure Delivery Programme (WIDP) where he is the National Transactor Coordinator for the Programme. WIDP is responsible for the delivery of England’s 25 waste PFI projects. Niranjan has extensive experience in the delivery of waste PFI projects and prior to joining LP was the Project Manager (2003-2006) responsible for procuring Cornwall’s integrated waste PFI contract. As part of the WIDP he continues to be engaged in supporting local authorities in the management of their PFI contracts including the delivery of operational savings. 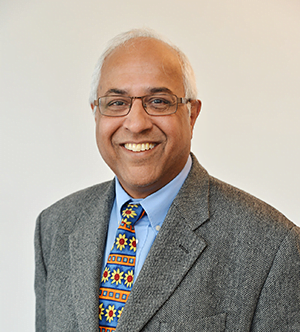 Prior to his work for Cornwall Council Niranjan was a Principal Consultant at AEA Technology (now Ricardo) where over the course of 17 years he specialised in advising on waste management issues in the public sector; policy, strategy, technoeconomic assessments, procurement and delivery. Niranjan has worked on path-finding projects in the waste sector including Surrey, Hereford & Worcester, West Sussex, Caerphilly and Northumberland. Niranjan is a Member of the Chartered Institute of Waste Management.